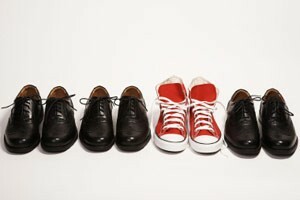 Generational Diversity – What’s a good leader supposed to do? – Lemmex Williams Training Inc.
Do you feel like you’re in the middle trying to referee between the generations? Or worse, are you squarely on one side and trying to figure out how to deal with another generation yourself? Generational diversity is a challenge in today’s workforce with five generations working at the same time. At this point, it is important to note that generational attributes are broad generalizations and not everyone will fit the description exactly. In fact, some people may fit into a different generation because of their upbringing rather than age group. 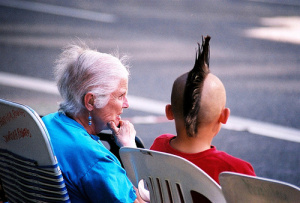 So why is managing multiple generations so hard? Baby Boomers and Traditionalists were used to just doing what they were told, and not expecting to have too much say in how they were managed. Newer generations do not feel that way. They have been influenced by collaborative learning, working in teams, and being expected to provide their opinions. This diverse attitude alone can produce a clash. So, is this a new phenomenon? Unlikely. Since the early 1700’s, there have been mentions of the difficulty of managing the newest generation. Each of us can remember what it was like early in our careers and how things changed over time. As a great leader, you need to understand what motivates your employees and manage them accordingly. No longer can we expect to pick one style of leadership and expect employees to thrive under our style of management. We need to put aside our own biases and learn to respect what each of our employees has to offer. We need to respect what each generation brings to the table instead of focusing on what is different from our generation, and our expectations. Harness the power of their work style and allow them to exploit their unique offering. And as a leader, it is your responsibility to inspire your employees to do the same. Give special projects to Baby Boomers that they can work individually on. Generation X and Y’s employees might want to work on a collaborative project. Think about incorporating flexible hours for Generation X and Y. Keep instituting challenges and new projects for Generation D’s to keep them connected. A clear career roadmap with frequent milestones is very important to Gen D’s. Know that Generation Y and D’s expect and demand plenty of feedback whereas Boomers might be insulted by it. Generation Y and D’s grew up and thrive in a collaborative environment where teamwork and group brainstorming is the norm. Capitalize on it! Ensure that the knowledge and experience of your Traditionalists and Baby Boomers is valued. Better still, sit down with your employees and get their ideas. Motivated, happy workers are extremely productive and loyal, and as a leader, you have significant influence to create a motivating environment. So, embrace the differences, show respect, and be prepared to change up your management style to get the most out of your people!